Interested in learning the most effective way to communicate with your patients? 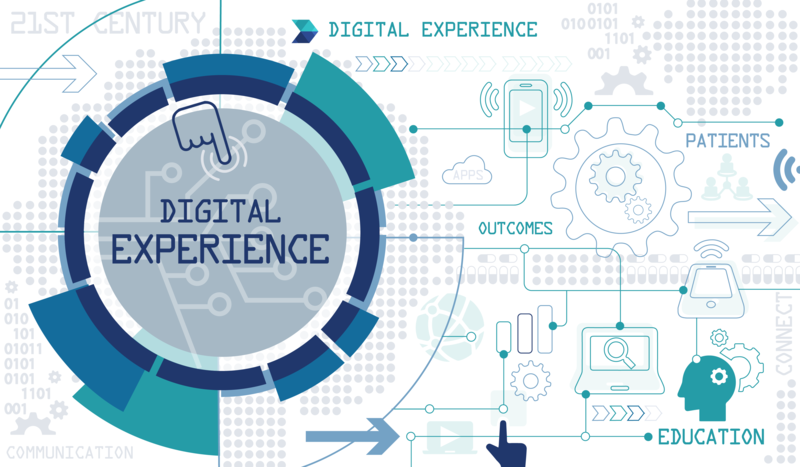 Attend this FREE Webinar: Leveraging Technology for Specialty Patient Engagement and receive insider tips on how to leverage technology to improve overall patient engagement and satisfaction leading to higher rates of adherence and better outcomes. Speakers will present research and insights on the topic of developing the right treatment and communication plan for patients that match their lifestyle needs and improves their quality of life. Would you like more information regarding specialty patient engagement? Russel Allinson is Therigy’s co-founder, and Executive Chairman. He oversees the company’s strategic vision and direction while providing leadership to both the clinical research and development staff and the sales and marketing team. Russ’s background includes more than 20 years of specialty pharmacy experience and an additional 15 in hospital pharmacy operations. 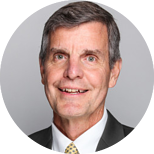 He is one of the industry’s most respected authorities on specialty pharmacy operations, adherence, clinical programs, quality improvement, outcomes, and informatics. After earning his BS in pharmacy from the University of Pittsburgh and his MS in pharmacy administration from The Ohio State University, Russ completed his administrative/clinical residency at Riverside Methodist Hospital. He then kicked off his career with Shadyside Hospital, where he was promoted time and again over the course of 15 years. In 1996, during the industry’s pioneering days, Russ made the move to specialty pharmacy when he accepted the position of Director of Pharmacy with Stadtlanders. He was subsequently promoted to Vice President of Pharmacy. He also held executive positions as Senior Vice President of Pharmacy/Chief Pharmacist with Priority Healthcare and as General Manager with Aetna Specialty Pharmacy. He gained valuable technology experience with two companies, Ariba and FreeMarkets. Russ is a member of the Rho Chi Pharmacy Honor Society. He received the Alumni of the Year award from the University of Pittsburgh School of Pharmacy in 1996; the Jack L. Beal Post baccalaureate Alumni Award from the Ohio State University College of Pharmacy in 2008; and the Pharmacy Times Next-Generation Pharmacist Technology Innovator award for 2016. Dr. David Medvedeff has committed his entire career to the triple aim of advancing healthcare quality, enhancing the medication use process and empowering patients to take a more active role in their health and wellness. 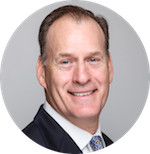 David most recently served as the CEO of Avatar International, where he worked with prestigious organizations such as The Mayo Clinic and Kaiser Permanente to give their patients a voice in the optimization of the care experience – a meaningful component of healthcare reform. His leadership and focus on organizational culture was instrumental in attracting top talent to Avatar and ultimately delivering remarkable corporate results. Prior to joining Avatar International David was the President of Informed Decisions, a subsidiary of Gold Standard which was acquired by Elsevier Health; the world’s largest medical publisher. His multifaceted role with Elsevier simultaneously included leading the company’s electronic prescribing initiatives, managing the predictive modeling and analytics unit MEDai, as well as serving as the Vice President of payer and provider strategy for the Clinical Decision Support division. In recognition of his leadership in pharmacy and healthcare technology, David has been the humble recipient of numerous industry accolades. Some of his more notable honors include being the only two-time winner of the American Pharmacist Association’s Pinnacle Award as well as receiving the prestigious National Prescott Award. In pursuit of his triple aim David plays an active role in several transformational healthcare organizations. He has chaired the National Changing Diabetes Program Health Information Technology group, The Pharmacy Quality Alliance’s Diabetes and Medication Reconciliation Workgroups and served on the Florida Behavioral Health Collaborative. He currently serves on the Board of Directors of Strata Decision Technology, Pharmacy Quality Solutions and the Executive Board of The Beryl Institute. Dr. Medvedeff earned his Doctor of Pharmacy and Master of Business Administration from the University of Florida, where he served on the faculty of College of Pharmacy and earned the Outstanding Alumnus and Outstanding Service Excellence awards. Jon Hamrick is Therigy’s President and Chief Operating Officer. In this role, Jon drives continuous product and technology innovation through strategy development, market expansion, and a network of partnerships and alliances with pharma manufacturers, technology developers, and other analytics and outcomes partners. Further, he develops and executes the company’s global strategies to extend Therigy’s specialty solutions to international healthcare organizations. Jon also leads Therigy’s pharma consulting division. Jon joined Therigy as a Principal Partner in 2011, bringing with him more than 25 years of pharma, medical device, payer industry, and senior leadership experience. Prior to his appointment as Chief Strategy Officer, he was Therigy’s Executive Vice President of Biotech and Specialty Services, where he led the company’s pharma consulting practice, sales, marketing, client services, and corporate business development activities. 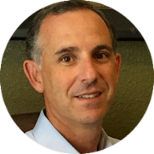 Before joining Therigy, Jon was Vice President of Business Development at Priority Healthcare. He went on to be a senior member of the leadership team at CuraScript, a subsidiary of Express Scripts. Jon earned his BA degree in history from the University of Central Florida, and an MBA from the University of Florida Warrington College of Business. Prior to entering the healthcare industry, he served as a U.S. Marine Corps infantry officer. He is also a noted speaker, presenter, and moderator at specialty pharmacy conferences across the U.S.